TL;DR: On Wednesday, February 7, 2018, Laravel 5.6, was released to the public. It's a major release to the most popular PHP framework on GitHub as of this writing. Furthermore, Spark 6.0 was also released alongside Laravel 5.6. According to the policy laid down by the Taylor and the core team, major Laravel framework releases are released every six months (February and August). 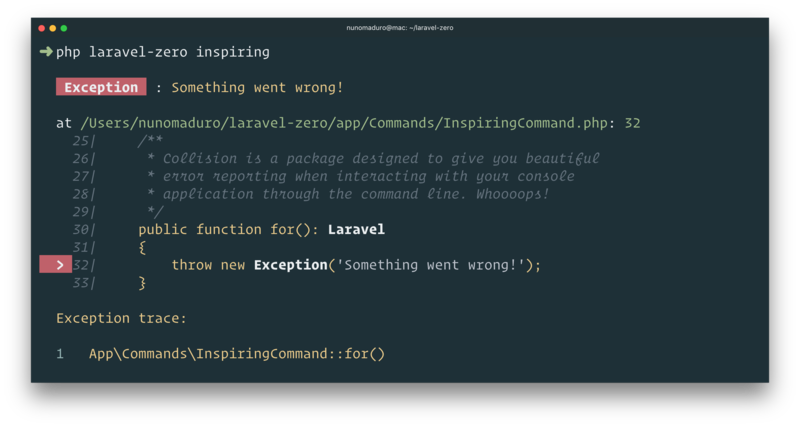 In this article, I'll cover the new features in Laravel 5.6 and several other changes and deprecations. Laravel is the most popular, open-source PHP framework as of this writing. It is designed for building web applications with an expressive and elegant syntax. With Laravel, application development is fast because it ships with a lot of features out of the box. Without further ado, let's dive right into Laravel 5.6. What's new in Laravel 5.6? 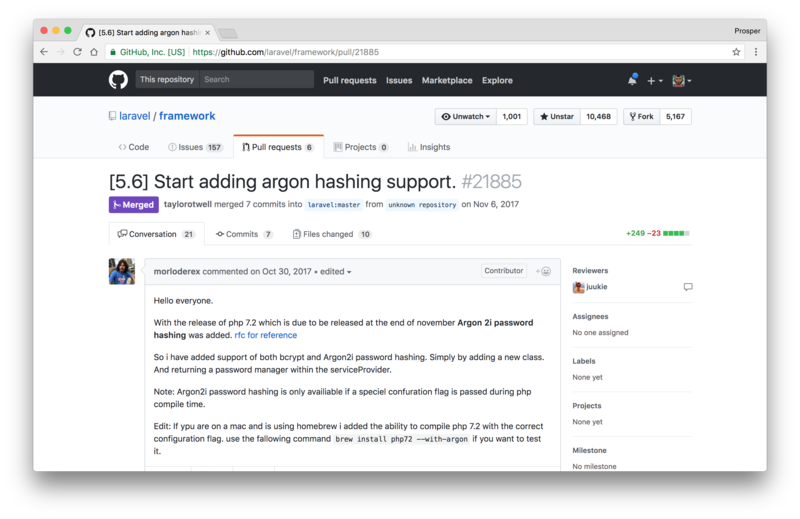 Argon2, the recommended password hashing algorithm by the Password Hashing Competition, is a modern algorithm for securely hashing passwords. And it comes in two distinct flavors, Argon 2i and Argon 2d. PHP 7.2 recently added support for Argon 2i password hashing. 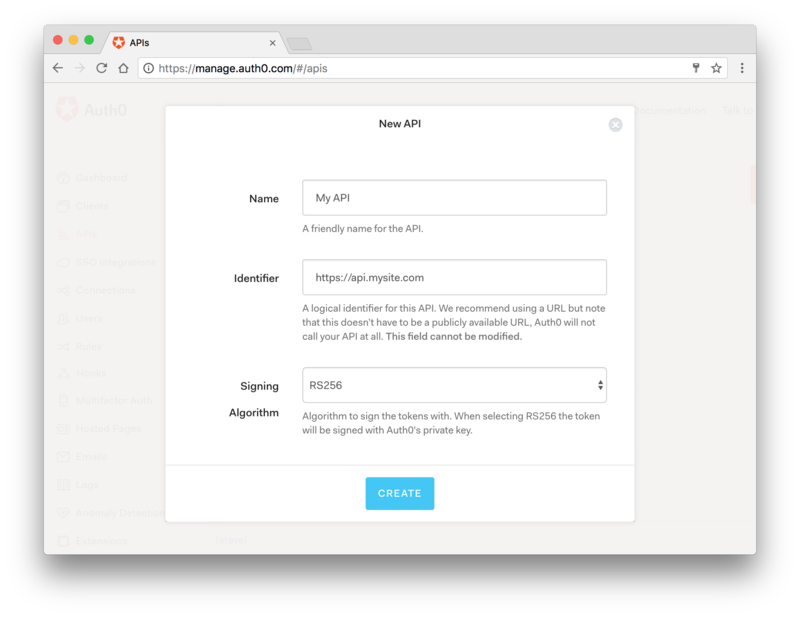 Therefore, Michael Lundbol took the initiative to add support for Argon hashing in Laravel. The bcrypt driver is the default driver for password hashing in Laravel. However, Laravel 5.6 now supports argon. Note: Laravel 5.6 ships with a hashing config file as displayed above. One of the beautiful built-in features of Laravel is API Rate Limiting. Before now, Laravel's rate limiting configuration involved specifying a hard-coded number of requests on a group of routes. However, Laravel 5.6 adds icing to the cake by allowing you specify a maximum number of requests based on an authenticated User model attribute. In the code above, the rate_limit parameter is an attribute of the User model in a Laravel 5.6 application. Before now, there was a persistent bug on queued models. When queued models are finally processed, it's without their loaded relationships in place. In Laravel 5.6, huge improvements have been made to ensure that relationships loaded on queued models are automatically re-loaded when the job is processed by the queue. There is a new logging config file in Laravel 5.6. In this file, you can set up logging stacks that send log messages to various handlers. The stack driver allows you to combine multiple channels, in this case, syslog and slack, into a single log channel as shown above. Note: Monolog is a library that sends your application logs to files, sockets, inboxes, databases and various web services. It's a comprehensive library with various log handlers. Check out more information on Logging in Laravel 5.6. Before now, if your app ran on multiple servers and the task scheduler was active on those servers, then your scheduled tasks also executed multiple times. However, in Laravel 5.6, you can now schedule your task to execute on just a single server if your app runs on multiple servers.
" In Laravel 5.6, you can now schedule your task to execute on just a single server if your app runs on multiple servers." Collision is an awesome package developed and maintained by Nuno Maduro. It is a detailed, beautiful and intuitive error handler for console/command-line PHP applications. Laravel 5.6 provides a subtle way to cast Eloquent date model attributes to a specific date format. All you need to do is to specify the desired date format in the $casts array. "Laravel 5.6 provides a subtle way to cast Eloquent date model attributes to a specific date format." This feature is very handy. Accessing a blade component in a sub-directory is easier via aliasing. With the component method, you can alias components.card to card assuming the card component's directory is resources/views/components/card.blade.php. This is your Valentine card. In Laravel 5.6, you can now generate broadcasting channel classes via the make:channel Artisan command. The generated channel class will be placed in the App/Broadcasting directory. In the PurchaseChannel class, you can add the authorization logic in the join method. Before now, the authorization logic was placed in the channel authorization Closure. * Authenticate the user's access to the channel. All the Symfony components used by Laravel 5.6 have been bumped to the ~4.0 release. Furthermore, all the front-end scaffolding of Laravel 5.6 and Spark 6.0 has been bumped to v4. I covered all the major additions and deprecations of Bootstrap 4 in this article. Generating an API resource controller can now be done by using the --api switch when executing the make:controller command. Laravel 5.6 introduced helper methods, Arr::wrap(), classes_uses_recursive(), Str::uuid(), and Str::orderedUuid(), the latter generating a timestamp first UUID that's more easily and efficiently indexed by databases like MySQL. Laravel Mix, upgraded to v2. The deprecated Artisan optimize command has been removed. Added support for customizing the mail message building in ResetPassword::toMail(). Add policies() method to AuthServiceProvider to retrieve all the policies defined by the provider. Two new blade directives have been added to the framework, @csrf and @method. Support for PostgreSQL comments was added. Furthermore, Laravel 5.6 now has better support for enumeration columns. Check out other Laravel 5.6 updates here. 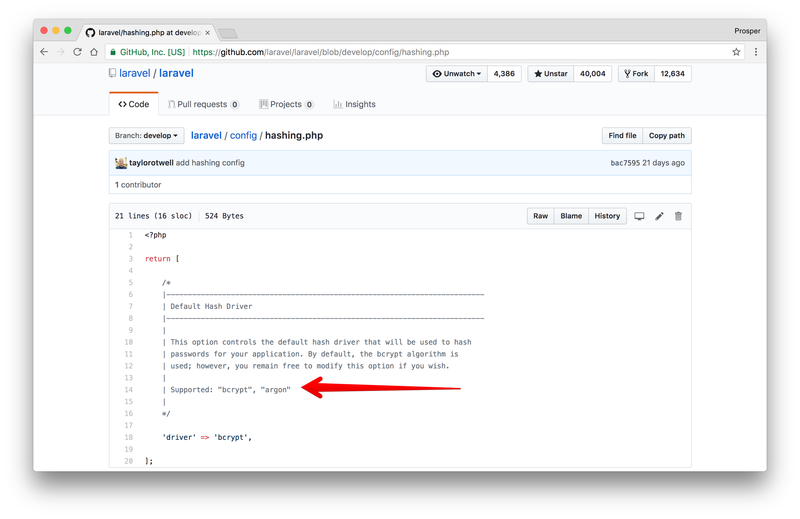 Laravel 5.6 requires PHP >= 7.1.3. And the estimated upgrade time from Laravel v5.5 is about ten to thirty minutes. 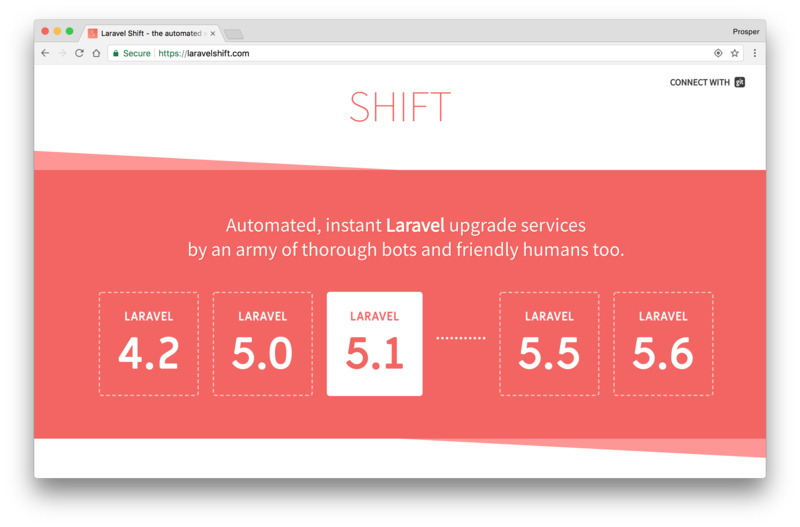 Laravel 5.6 came loaded with new features and significant improvements. Another major release will be out by August and some of the features shipping with the next major release will be unleashed at Laracon 2018. Get your tickets already!